Just like Google's best-selling flagship Nexus smartphone last year, the 2013 Google Nexus 5 release is also made by Korean electronics giant, LG. TP Writer Fellow from DLSU, Nico Aguila, was the first to let me know about this handset several months ago. He shared with me the leaked press photos as well as the rumored technical specifications of the handset - including the Quad Core 2.3 GHz Krait 400 CPU and Adreno 330 GPU based Qualcomm MSM8974 Snapdragon 800 chipset, 2 GB of RAM, 8 MegaPixels autofocus main camera with LED flash, BSI, and Optical Image Stabilization, Full HD video capture capability, and the 2,300 mAh Li-Ion battery that can be wirelessly charged. Looking the actual recently announced device, almost everything has turned out accurate except for the supposed 5-inch display, which ended up being a 4.95-inch True HD IPS screen underneath scratch-resistant Gorilla Glass 3. LTE-capable LG Nexus 5 flaunts a design language different from any of LG's current releases, including the very popular and critically-acclaimed LG G2. 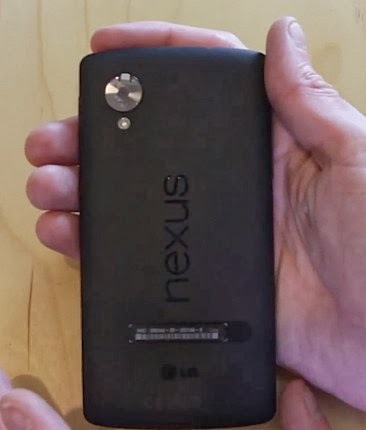 And although one can say that the Nexus 5 is more or less just a 'distilled' version of the Korean company's 2013 flagship, they look close to nothing alike. The Google phone comes with a slim and light shell - available in White and Black - replete with matte finish that supposedly makes it less prone to fingerprints and accidental slippage plus the glossy, prominent plastic Nexus branding and metallic design accent found on the back panel framing the camera. The phone looks good really but if you ask me, I think last year's Nexus handset totally slays the 2013 release in the physical attractiveness department. The Nexus 5 comes with decent technical specifications for a 2013 top-of-the-line release but what makes it truly special is that it is the very first device to run the latest version of Google's Android mobile operating system, called KitKat. 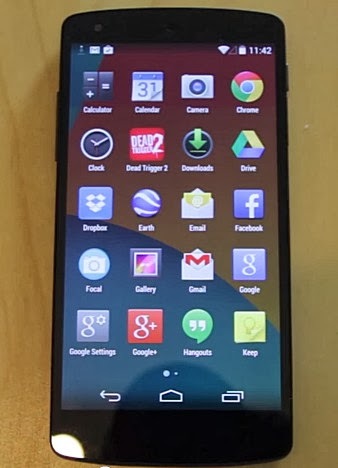 Android 4.4 KitKat brings several key enhancements to the world's leading mobile platform including but not limited to Priority Contacts, NFC Wireless Printing, "OK Google" activated Voice Search, More Efficient Multitasking, More Intuitive UI (where the translucent Status Bar and familiar Navigation Buttons fade into the background when you start using an application), and overall improved performance and power efficiency. 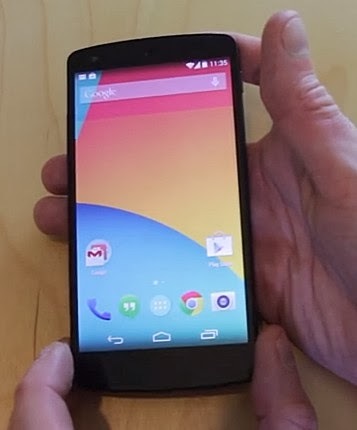 So when will the LG Nexus 5 be available in the Philippines and how much will it cost? TP Friends, Kimstore - my trusted online store - is now taking pre-orders of this cool handset. Yup, we're actually getting it ahead of many countries -- thanks to Kim. And what's even cooler is that Kimstore is offering the flagship smartphone for just Php 21,780, which is already very affordable for device of its caliber. If you place your order now by calling +63922-885-9799, +63908-886-9799, +63905-320-1818, or (02) 904-2966, you should get your unit a few days after.